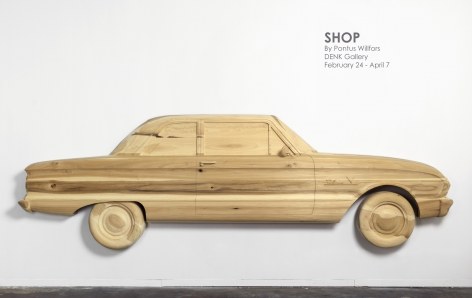 “Shop” is a collection of wooden and aluminum sculptures, many based on themes of transportation. 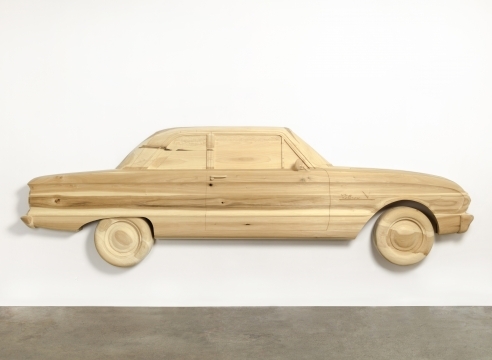 Pontus Willfors has a knack for carefully crafting recognizable objects — cars, bicycles and other utilitarian objects. 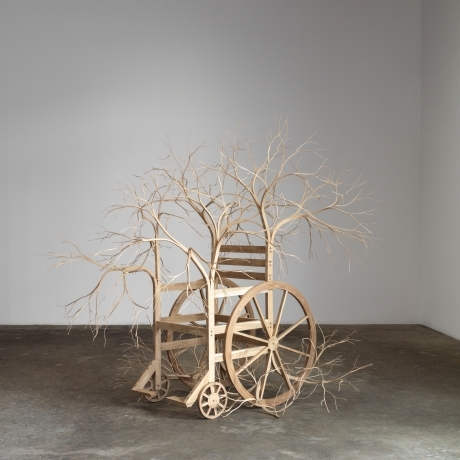 The highlights in this exhibition include “Wheelchair,” “The Falcon” and “Bicycle,” which is a flattened representation of a streamlined bike. 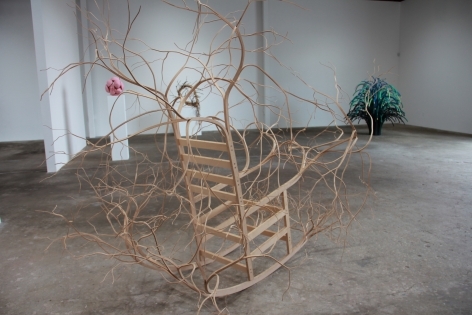 The stunning “Wheelchair” sports branches that stem from the back, arms and wheels of a handmade wooden wheelchair. 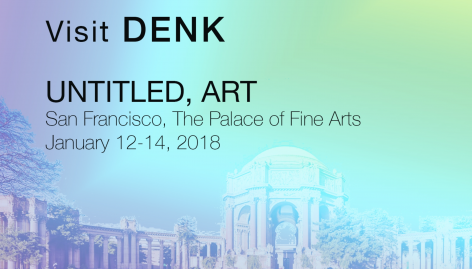 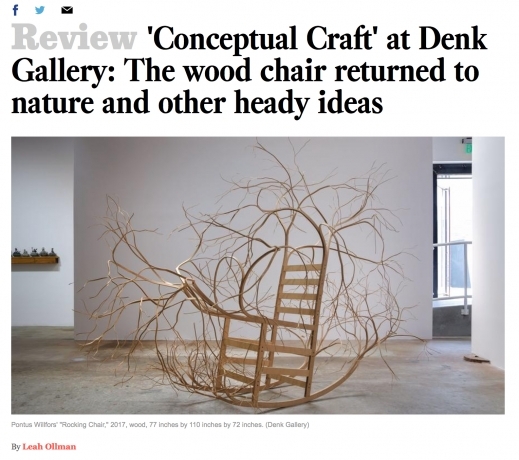 Willfors is interested in the transformation of everyday objects into lyrical sculptures that join and celebrate natural and man-made forms (Denk Gallery, Downtown). 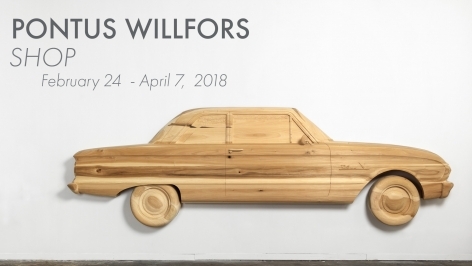 Los Angeles based artist Pontus Willfors solo show at DENK. 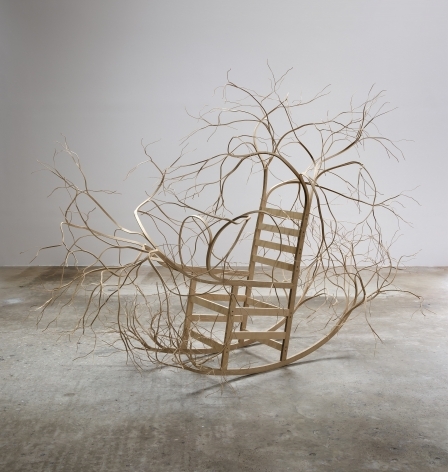 Group show, Conceptual Craft featuring works by Lynn Aldrich, Jeff Colson, Ashley Hagen , Tim Hawkinson , Nova Jiang , Jared Pankin , Ephraim Puusemp & Pontus Willfors.